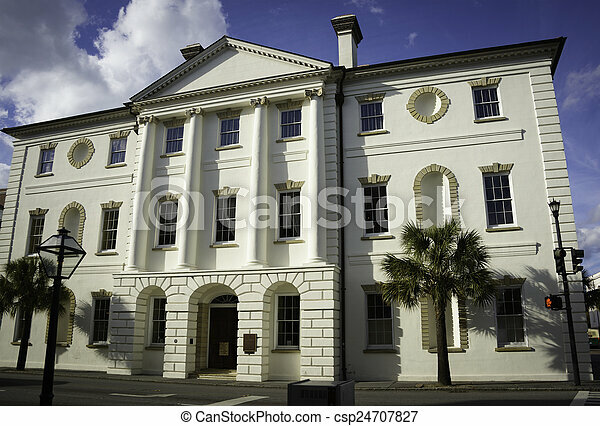 Historic courthouse in charleston, south carolina. 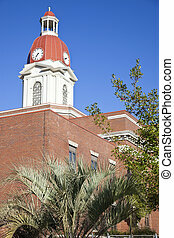 Historic courthouse in Sylvester, Florida. 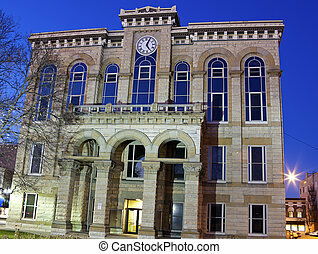 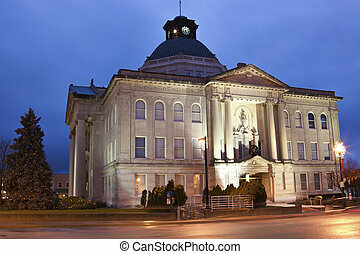 Historic courthouse in Urbana-Champaign, Illinois. 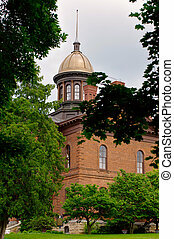 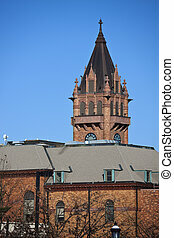 Washington County historic courthouse in Stillwater, Minnesota, USA. 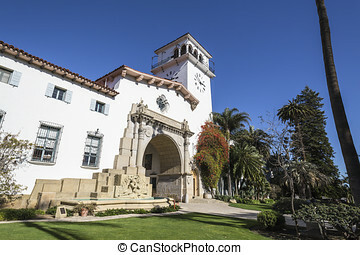 Historic courthouse entrance in Santa Barbara, California. 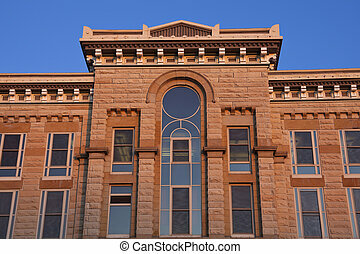 Confederate soldier statue guards the front of the Jackson County Courthouse in Sylva, North Carolina. 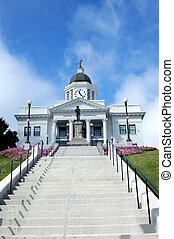 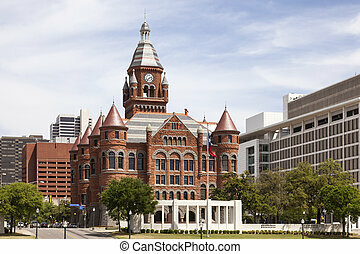 Grand staircase fronts elegant courthouse surrounded by pink flowers and a green lawn. 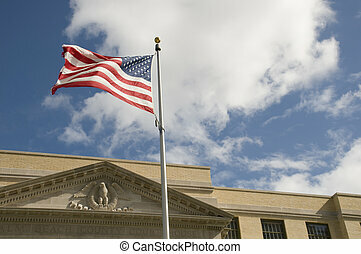 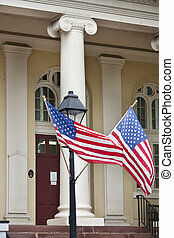 Flags flying at historic courthouse in Warrenton Virginia. 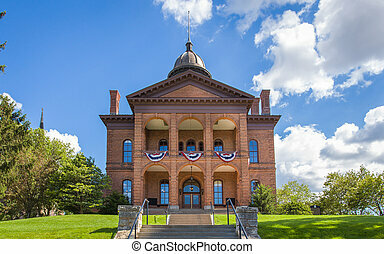 Warrenton is located in Fauquier County. 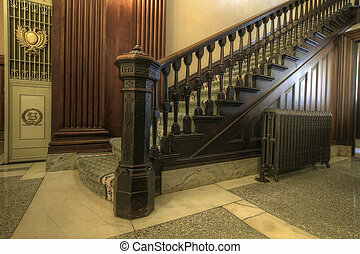 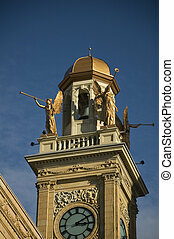 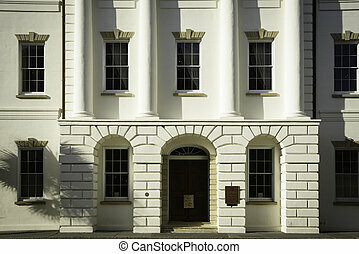 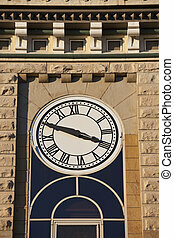 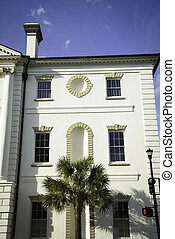 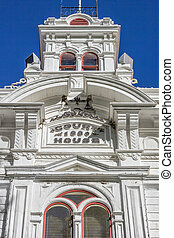 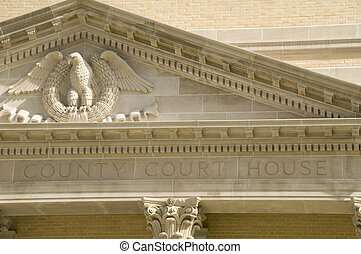 Detail of Historic Courthouse in Charleston, South Carolina. 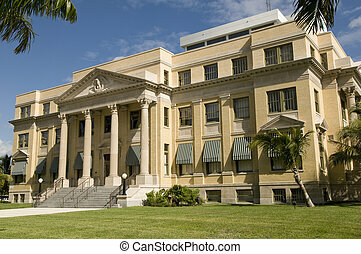 Historic Courthouse in West Palm Beach. 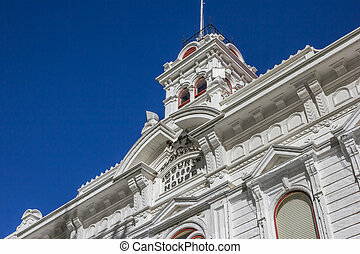 Old Courthouse in West Palm Beach with Architecture Detail.